This Clean and Simple (CAS) note card was made following the Freshly Made Sketches challenge (FMS176). The body of my note card was cut from Lost Lagoon card stock (3.75 by 5.5 inches). A Whisper White piece was torn by hand to give the edge. 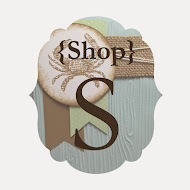 The sumptuous Lost Lagoon Stitched Satin Ribbon was simply tied into a knot. This is such easy ribbon with which to work! The pièce de résistance on this notecard was achieved most simply. I ran my Lost Lagoon card stock with a piece of waxed paper through my Big Shot, using the new Butterflies Thinlit. It's popped up on a smidge of a Stampin' Dimensional so that you can see its delicate structure. So gorgeous. I've just recently received this gem and I can't wait to play with it more! I'll be entering this card in the Cute Card Thursday #363 Challenge this week, in which we are to use punches or die cuts. I'll also enter this card in the Friday Mashup (FM200) challenge, in which I can choose my challenge in celebration of the 200th challenge. I chose FM1, which was one including butterflies! 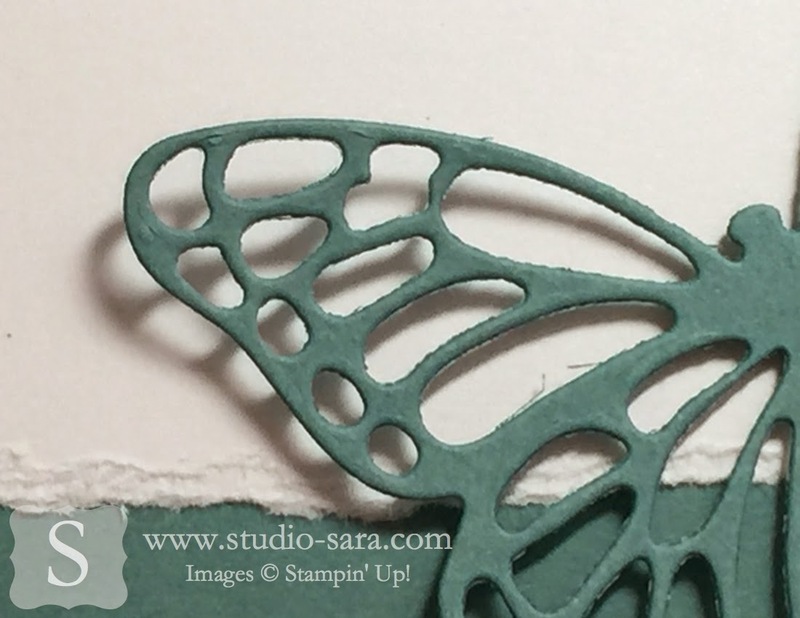 Stay in touch if these gorgeous butterflies are on your Wish List (no pressure -- I just like to keep you in the loop)! 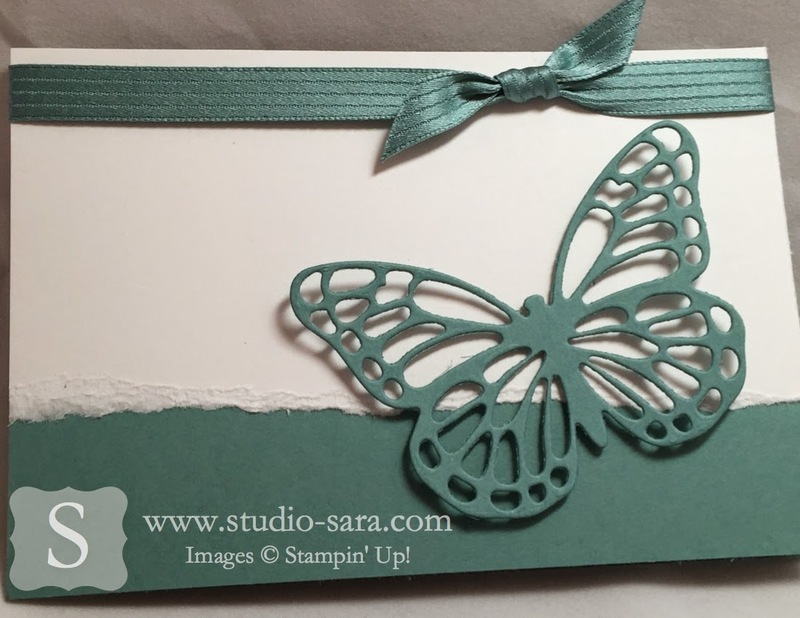 This is such a beautiful clean and simple card which really shows off that beautiful butterfly! Thanks for joining us at Freshly Made Sketches! This is just beautiful! 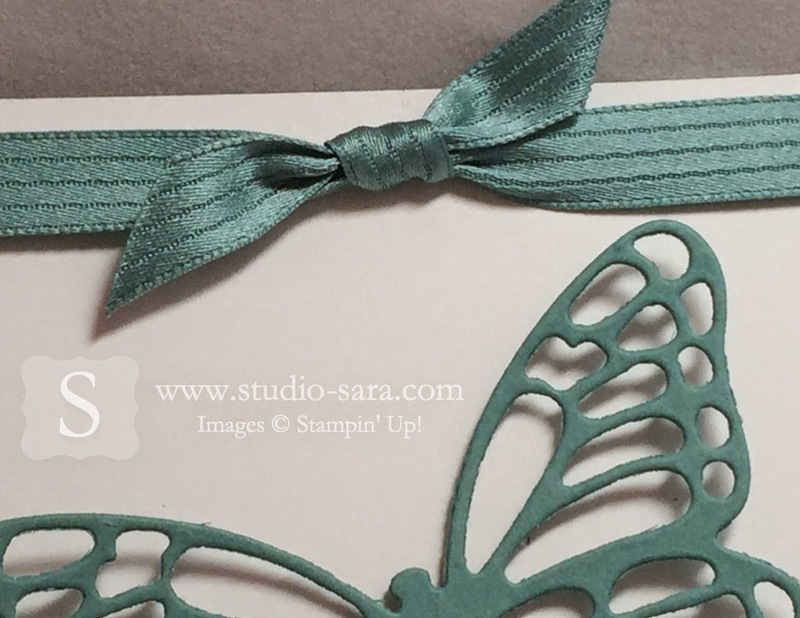 I love your monochromatic card and am loving that butterfly die - i think i need it now! Thanks for joining us at FMS this week! Very pretty CAS card! I love this shade of green! I'm celebrating with the Friday Mashup too! Your card is GORGEOUS. Butterflies hold a special place in my heart. LoVe this one. Thanks for sharing. This is beautiful...I really love lost lagoon! I got my thinlets just before the delay...thank goodness! I will be playing with them this weekend! Thanks for helping us celebrate #200 at The Friday Mashup!